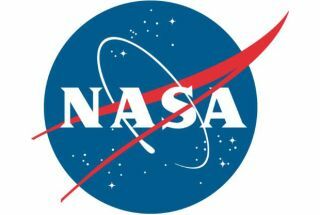 WASHINGTON — A House panel approved appropriations legislation Wednesday (July 10) that would give NASA $16.6 billion for 2014, cutting agency spending back to levels not seen since 2007. As expected, the bill from the House Appropriations commerce, justice, science subcommittee assumes that across-the-board sequestration cuts set in motion by the Budget Control Act of 2011 will continue at least through next year, and that NASA won’t be spared. The proposal, unveiled late Tuesday (July 9), passed the subcommittee by a voice vote, setting the stage for the full Appropriations Committee to consider the bill the week of July 15. Senate appropriators have yet to introduce their own Commerce, Justice, Science spending bill, so it remains to be seen whether the upper chamber will be able to find more money for NASA. Senate leaders have approved a $52.3 billion allocation for Commerce, Justice and Science agencies in 2014 — only about $1 billion more than House leaders did. The House subcommittee’s bill, which is due to be marked up July 10, shields the Space Launch System (SLS) heavy-lift rocket NASA is building for missions beyond Earth orbit from the worst of the cuts. Including rocket development at the Marshall Space Flight Center in Huntsville, Ala., launchpad and ground facilities at the Kennedy Space Center in Florida, and program support from other NASA centers, SLS would get $1.77 billion — about $30 million more than what the program would get under the operating plan NASA sent its congressional overseers in May, and roughly $30 million less than the White House’s 2014 request. SLS’ companion crew capsule, Orion, would get $1.05 billion for 2014, roughly $60 million less than what NASA planned to spend in 2013, but about $25 million more than the White House asked for in an April budget request that ignored sequestration. House appropriators applied no special provisions in their bill to the Commercial Crew Program, a NASA-subsidized partnership with industry aimed at getting at least one of three privately designed crewed spacecraft ready to ferry astronauts to the International Space Station before the end of 2017. Both Republicans and Democrats on the House Science space subcommittee, which is marking up a policy-setting authorization bill for NASA July 10, agree that the Commercial Crew Program should get up to $700 million a year — less than the White House wants, but more than Congress has appropriated to date. More detailed information about specific programs, including Commercial Crew and the various NASA Science disciplines, typically shows up in a document known as a bill report. Reports do not usually appear until after a bill has been marked up at the subcommittee or committee level. Science: $4.78 billion, about even with what NASA planned to spend in 2013, according to its May operating plan, and roughly $230 million below the 2014 request. The House bill also mandates that $80 million of NASA’s 2014 science budget go toward early planning for a robotic mission to Jupiter’s moon Europa. Exploration: $3.61 billion, nearly $70 million less than what was in the 2013 operating plan, and about $300 million less than the request. Space operations: $3.67 billion, most of which will go toward the International Space Station. That is $50 million below the May operating plan, and roughly $210 million below the request. Space Technology: $576 million, $64 million below the May operating plan and about $165 million less than requested. Aeronautics: $566 million, about $35 million more than the 2013 operating plan and about flat compared with the 2014 request. Cross Agency Support: $2.71 billion, even with the 2013 operating plan from May, but almost $140 million below the request. Construction and Environmental Compliance and Restoration: $525 million, about $120 million below the operating plan and nearly $85 million below the request. Education: $122 million, $6 million above the operating plan for 2013, and close to $30 million above the request. The Obama administration proposed a restructuring of federal education dollars for the 2014 spending year that, at least among NASA’s congressional overseers, has proven unpopular. Inspector General: $35.3 million, even with the 2013 operating plan level and roughly $2 million below the request.